Three different lengths are available - 8", 12" & 18"
Safe on wheels that are painted, chrome, aluminum, clear coated, alloy, bare metals, matte, etc. Looking to easily reach behind rims, spokes, calipers, etc? The DI Brushes Caliper Wheel Woolies are a great choice! When you want the safest and most thorough cleaning for your wheels look no further than the Wheel Woolies Brushes. This brush is manufactured with a soft synthetic wool-like polypropylene carpet fiber. All of the brush components are 100% polypropylene, ultrasonically welded with no adhesives, glues or staples, which allows you to clean safely and with confidence even on the most sensitive wheel finishes. Use it on wheels that are painted, chrome, aluminum, clear coated, alloy, bare metals, matte and so much more. Use it with any shampoo or wheel cleaner to clean in between spokes, around the face of the wheel, inner barrel of the wheel, etc. 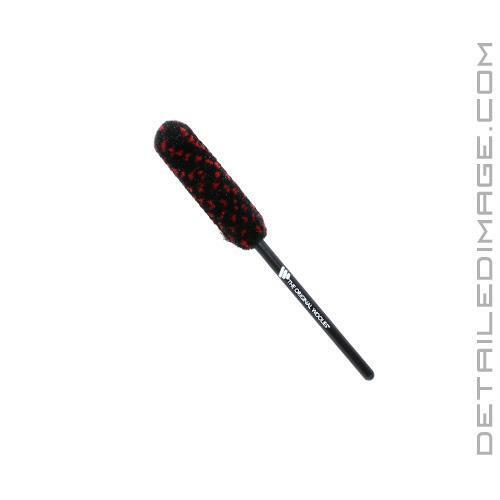 It's a versatile brush that can help you clean any area of the wheel and other parts of the car. You'll also love using it on the front bumper, grill, spoilers, handles and other tough to reach areas. The entire brush was constructed to be safe therefore no metals were used in the production at all. They were sometimes referred to as Wheel Woolies in the past. There are three sizes available: 8" has a 1" thick brush, 12" has a 2" thick brush and the 18" has a 3" thick brush. When the brush is wet the diameter will shrink a bit so you can fit it in even tighter areas. 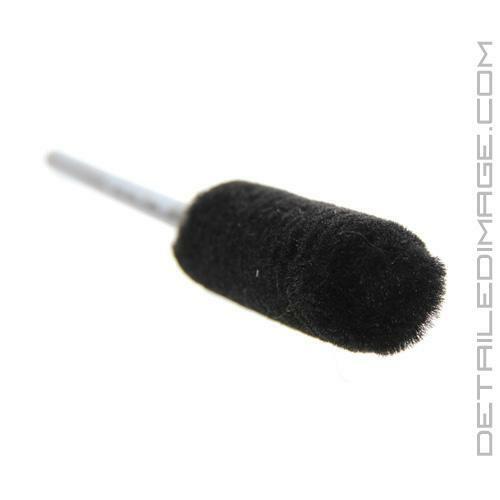 Pick up some of these brushes today and see how they can help your wheel care routine. 8" long brush's head has a diameter of 1"
12" long brush's head has a diameter of 2"
18" long brush's head has a diameter of 3"
Looking to easily reach behind rims, spokes, calipers, etc? The Wheel Woolies Caliper Spoke Brushes feature a 45 degree bent head and are a great choice! Looking to add some extra grip to your sturdy 12" and 18" Wheel Woolie handle? Pick up the Wheel Woolies Handle Grips! I'm quite happy with this product. I had another type that the tip used to hit wheel weights and could potentially make them fall off when driving. This is very useful and cleans wheels very good. No streaks left behind. Other people mention it doesn't fit in certain areas but that is why there are different sizes and other tools to use if needed. I would definitely recommend this tool to add to anyone's arsenal. I couldn't rate this product because it was too big for my spike wheels. I did not use it.